Whether you’re planning a romantic getaway, a family vacation, or a business trip it’s important that you choose a hotel that’s right for you. A quality hotel will offer a spectacular view, fine dining choices, itinerary assistance, and top-notch service and support. 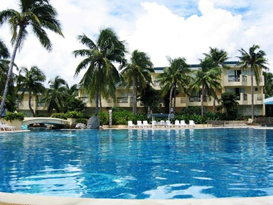 When choosing a five-star hotel you should consider what they have to offer, and how this meets your vacation needs. The level of service offered, dining options, amenities, accommodations and facilities, and the atmosphere are all things that need to be considered when choosing the right hotel for you. At a five-star hotel, guests are always treated with respect and courtesy. At check-in, you will be greeted with a friendly smile and pristine customer service. Doors will always be left open for you, and the staff will be there to help with any of your vacation needs. The staff will also pay attention to all your needs, and make sure you are provided with anything you might need during your stay. Additionally, a concierge will be provided to ensure anything you want is provided within a timely manner. Employees will be able to provide additional services such as arranging transportation, making dinner reservations, providing detailed directions to any local destination, and getting tickets for your entertainment at places like the theater. Your satisfaction during your stay will be the staffs number one priority. A quality five-star hotel will have several dining options to choose from, including award winning cuisine and wine. You will be served with the finest food made by renowned chefs with years of experience. Any five-star hotel will have wine cellars stocked full of the most exclusive labels. To top off your dining experience, connoisseurs will have around the clock access to gourmet cheeses, chocolates, and pastries. There will also be several casual dining options offering kids menus, pool side bars, and patio seating. Furthermore, there will be gourmet room service available at anytime day or night to ensure you have best dining experience during your stay. During your stay at a five-star hotel you will have access to a vast number of amenities including so many options that you might find yourself having a tough time leaving your room. Guest rooms will be stocked full of the most desirable amenities such as flat screen HD TVs with cable access, whirlpool tubs and jacuzzis, high-speed internet, heated bathroom tiles, and the most luxurious bedding the hotel has to offer. There will also be several amenities offered outside your room that include spas, salons, dry cleaning services, gyms featuring the most modern exercise equipment, indoor pools and saunas, health clubs, and so much more. Any quality hotel can be spotted through a simple room inspection. At a five-star hotel you can expect dust free rooms, fresh bed linens and scented sheets. The guest rooms and bathrooms will have a spacious design and an overall refreshing smell. Windows offering a magnificent view will also be featured filling your room with natural light. Not only are five-star hotels great for vacations, they are also the perfect location to host an event or business trip. 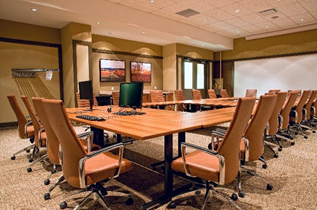 If it’s a business trip you’re planning, meeting rooms will be provided that are perfect for conferences, business meetings, and trade shows. Additionally, expanded facilities offer spacious locations for hosting events such as weddings, reunions, or parties. 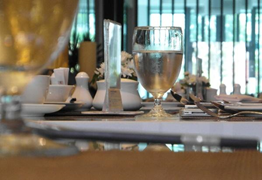 Five-star hotels will also have caterers and event planners available to ensure your event meets all your expectations. The atmosphere is the overall impression the hotel leaves its visitors with. This may include the level of service offered, building design and décor, and even the landscape which should all come together to leave guests with a pleasant visit. Your stay at a five-star hotel should be a pleasurable experience, leaving you relaxed and stress free during your stay. When choosing the hotel that is right for you, it’s important to take into consideration your personal needs and what the hotel has to offer that can meet these needs. There are many things in everyday life that we take for granted and assume will be provided during our stay at a quality hotel. This might include things like bath towels, soaps and shampoos, and other basic items we use on a day to day basis. Even though it’s possible to bring some of these things with you, there are many essential items that would be impossible to pack during your trip such as beds and showers. Other items such as luggage racks, information binders, and ice buckets will always be provided at a quality hotel. Perhaps consider making a list of everything you know you will need during your stay so that you can compare it to what the hotel has to offer. This will make it easier to eliminate hotels that don’t meet your basic needs and leave you with a greater chance of finding the hotel that is perfect for you. Any luxury hotel will have all the right products to ensure its guest feel at home during their stay. If you enjoyed this article, visit https://www.hotels4humanity.com/blog for more helpful hotel related content.